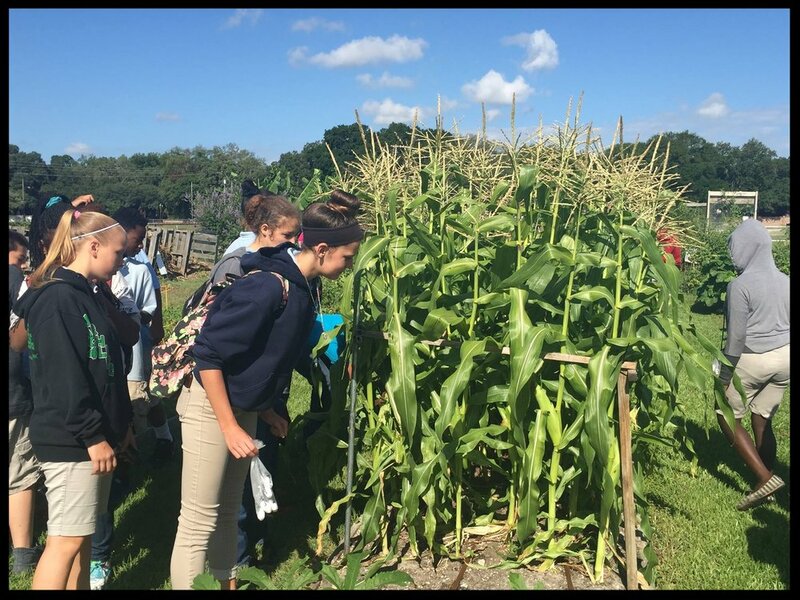 Opening May 2019: Tampa Bay Farm 2 School is hosting this public community soil making site at the community garden located on the campus of Greco Middle School. The compost bins are a design project combining the efforts of 7th grade Greco STEM students and USF School of Architecture and Community Design students. The short and long-term purpose of the compost site is to serve as a teaching tool for students as well as a source of soil for the student and community gardens. Local residents are invited to drop off their kitchen scraps. During the 2019-20 school year, Greco students will contribute food waste from the school cafeteria. Receive updates about becoming a Soil Supporter by signing up here. 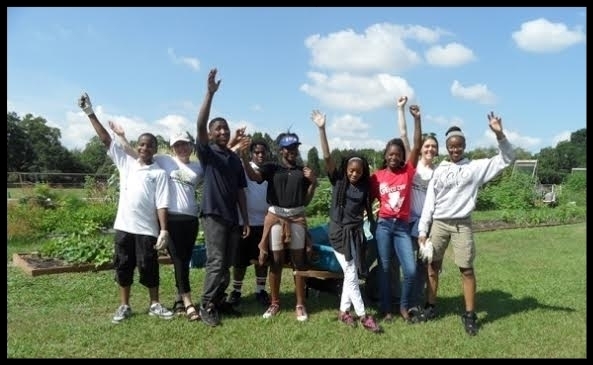 As a Greco Middle School community partner and host of the Community Compost site, Farm 2 School is providing ongoing maintenance, turning the compost, communicating with local Soil Supporters, and maintaining the appropriate balance of materials for a productive outcome. We believe this compost system has the potential for valuable hands on lessons and a source of pride for students engaged in making soil for the gardens. 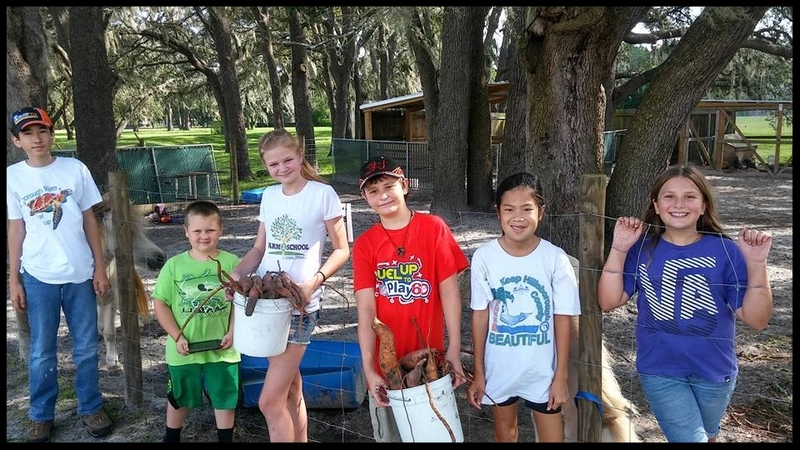 It is our hope that being involved in an active composting site will serve as an outdoor classroom for lessons about soil, bacteria, carbon sequestration, etc. Thank you to these Community Compost sponsors: the Greco STEM program, City of Temple Terrace, USF School of Architecture and Community Design, the Temple Terrace Jr. Women’s Club, MakeSoil.org, Temple Terrace Preservation Society, Ward-Mitchell: Civil Trial Attorneys. Greco Gardens at Greco Middle School is a unique project created by two organizations, the Temple Terace Community Gardens and Temple Terrace Farm2School. Since its opening in 2013, TTF2S has organized volunteer groups to build the student gardens, helped Greco students plant and harvest, built an outdoor classroom in partnership with the USF School of Architecture and Community Design, organized regular grounds and garden maintenance workdays, organized a volunteer team to feed the animals on the weekends and helped with general facility maintenance. 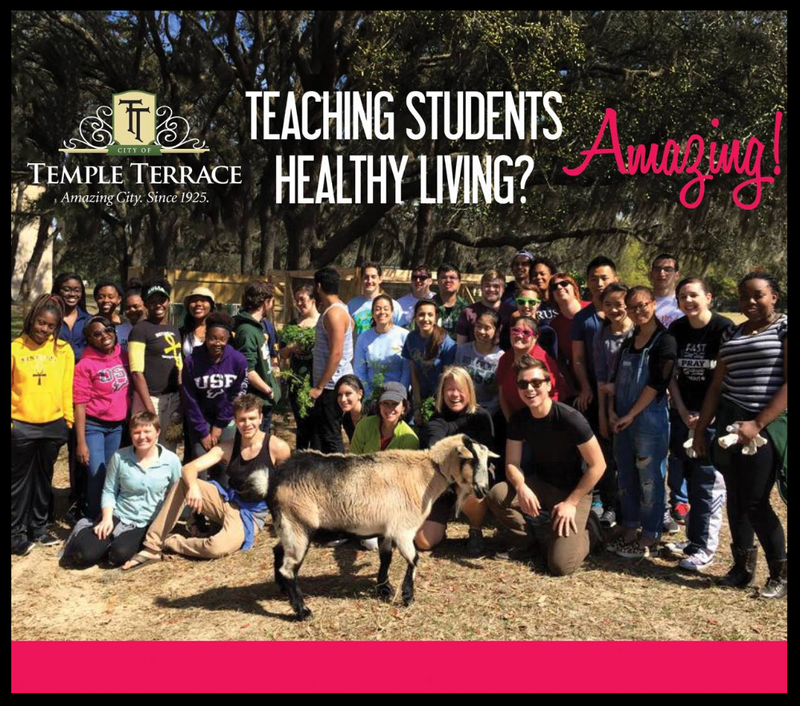 During the 2016/17, 2017/18 and the current school year, Farm2School community and USF Patel College volunteer teams led by Beth Bosserman-Curts and the Gessman family, have helped with maintenance of the Greco Pollinator Garden, the Temple Orange tree grove, and feeding the farm animals on weekends and during school breaks. Enjoy these collection of photos! USF Students volunteer at Greco Farms, building gardens, feeding the animals and general farm maintenance. TTF2S organized with the Florida Farm Bureau this hands activity for the Greco AGRICULTURE class planting a garden in a glove. The kids loved it. 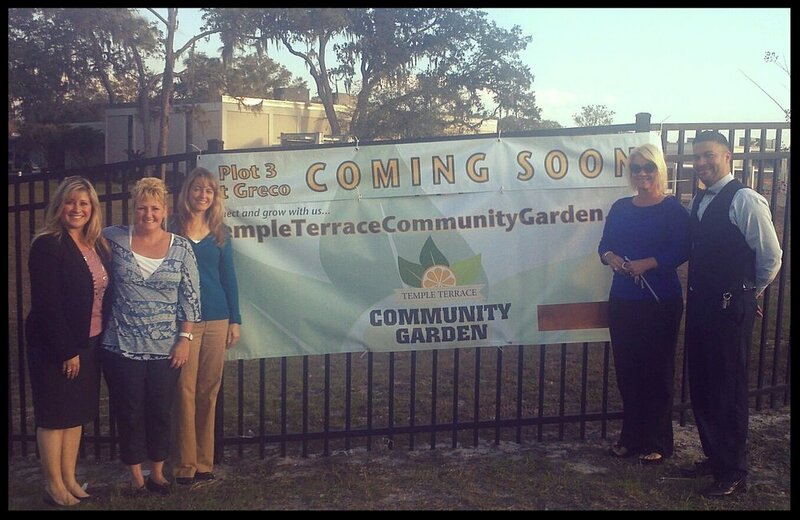 Fall2012 prior to breaking ground on “Plot 3” of the Temple Terrace Community Garden at Greco Middle School. A lesson for Greco students who are learning for the first time how eggplants grow. Visit to the garden by Greco students to learn about how corn is pollinated and grows on stalks. Greco students express their feelings about spending time in the garden. Fabulous Sorority sisters painting the rails at Greco Middle School. TTF2S planted a mini-Temple Orange Grove to remind students and the community about how the city got its name. USF students Prepping the gardens for Greco Agriculture students for spring planting. TT Farm2School joined with the TT PReservation Society to establish this historical sign to commemorate the history of the city and that Greco was once an ORANGE grove. Gerry Curts directs the rebuilding of the chicken coop with help from Dylan. Liam Gessman welcomes Mystic back for the new 2018/19 school year. Julian shares a carrot with Dolly. TTF2S volunteers spruce up the Pollinator Garden January 2018. USF freshman student workday. TTF2S organized teams to clean out the sheds and wash rebel and mystic, the miniature horses. Beth Bosserman-Curts delivers pumpkins in a fundraiser to benefit the Greco Culinary arts students. Kelly, Jacques Werleigh and Beth Bosserman-Curts working in the Greco Pollinator Garden. 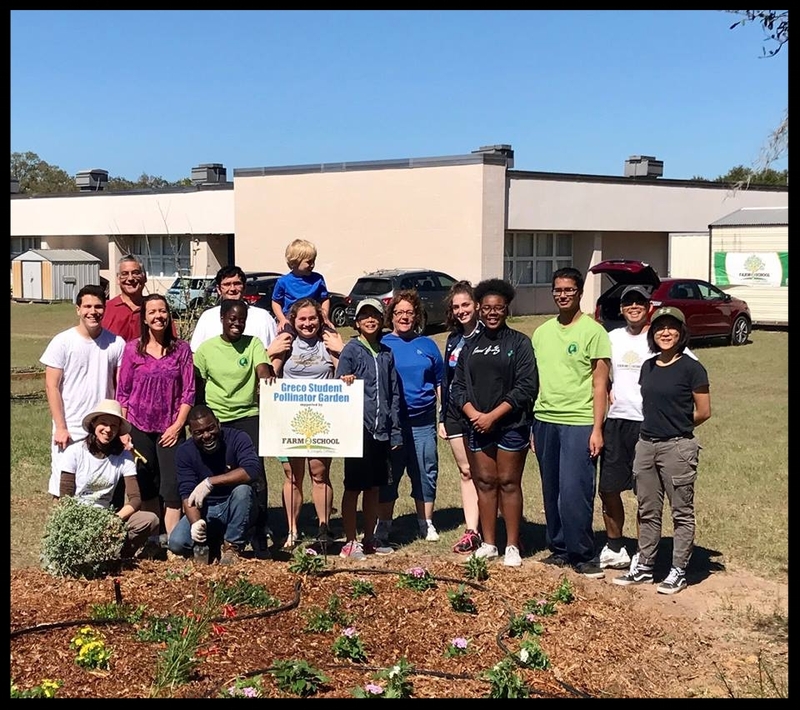 November 17, 2018, USF volunteers weed and mulch the student strawberry garden. August 2015, USF Stampede of Service students dig out the compacted soil to prepare the ground for new agriculture student garden beds. August 2015, TTF2S/USF volunteer team led by Gerry & Beth Curts building the Greco student Gardens. USF Freshman install tires to give the Farm Animals a little fun. (L-R) Dr. Trevor Greene, Elizabeth Leib, Mr. Alege, Jennifer Webb, Alan Winton and Beth Bosserman Curts pose after INSTALLATION of the Greco OUTDoOR Classroom. TTF2S Coordinated efforts with the USF School of ARCHITECTURE and Commuity Design to build the outdoor classroom at Greco. Liam and julian plant flower seeds. TTF2S partnered with United Way to create this beautiful container garden located outside the STEM classroom at Greco Middle School. Julian gessman gets some love from his Grandpa at the Greco Farm. The beautiful pollinator garden funded by Beth and Gerry Curts. Liam and Julian Gessman feed dolly on the weekends.